(Verona, Virginia – January 15, 2016) SONARAY™ industrial and commercial LED lighting today announced the OCEANRAY Marine LED lighting line at The Maryland Watermen Association sponsored East Coast Commercial Fishermen and Aquaculture Trade Expo in Ocean City, Maryland. SONARAY™ is a strategic business line for DASCOM, a Hong Kong based technology enterprise that does business in 86 countries globally. The Americas headquarters for the company is based in Central Virginia where product management, marketing, sales, technical support, lighting layout, and warehousing is located. 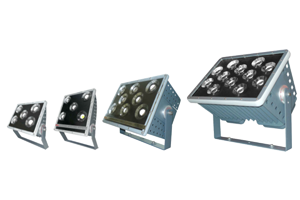 More information on SONARAY™ LED lighting can be found at www.sonarayled.com.